The LEX Bionic Chair is made of aircraft grade aluminum. 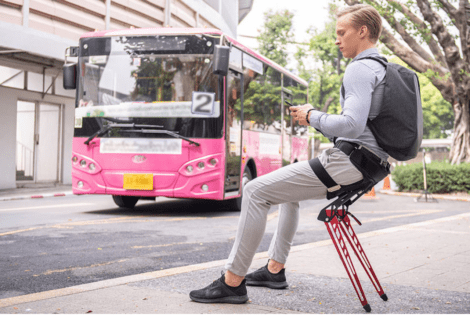 It straps to your waist for on-demand sitting tool and it provides good posture over prolonged use. 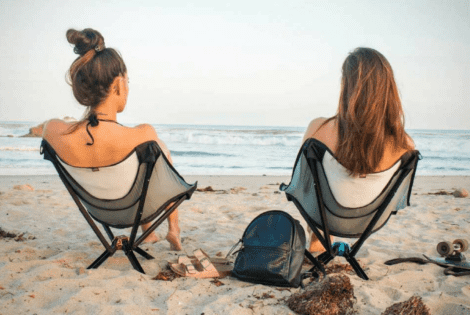 The GO CHAIR packs small yet it can carry a whopping 300 pounds thanks to its construction. It’s made out of ballistic nylon and aircraft-grade aluminum.